On 19 January 2012 I attended, along with Christina, a celebration of Gil Scott-Heron’s life held at The Grand in Clapham Junction. 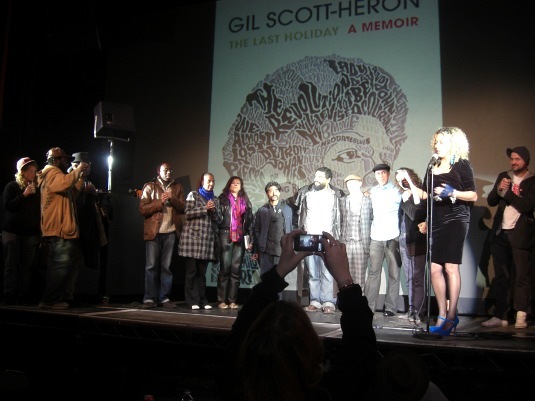 This great event, connected with the launch of Gil Scott-Heron’s posthumous memoir The Last Holiday, included tributes by Glen “Astro” Turner, Salena Godden, Kate Tempest, Ben Mellor and Gilles Peterson. Pictured above is the final curtain call of participants.